First published in 1989, this book seeks to demonstrate the social and political images of late-twentieth century London — the post-big-bang city, docklands, trade union defeats, a mounting north-south divide — do not mark as decisive break with the past as they may appear to. 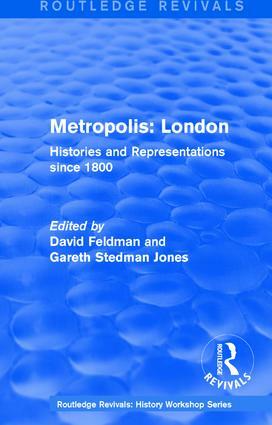 It argues that the most striking thing about London’s history since 1800 is the continuities and recurrences which punctuate it. The essays collected in this book focus on these themes and address important questions about class, nationality, sexual difference, and radical politics. They combine the established strengths of social history with more innovative approaches such as the history of representations.